A deck is a great addition to your backyard space and can make it feel like your house is bigger than it is. 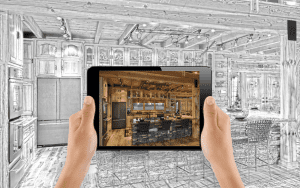 However, when designing your deck there are some things that you need to consider in order to optimize your space and make sure that your deck lasts. 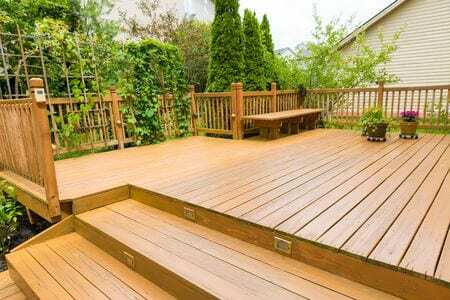 Below, you will find tips for building or reviving your deck. The very first thing you should consider when building a new deck is what you’re going to use it for. For example, maybe your deck needs to function as a pathway or surrounding area for your pool. Or perhaps you need a deck with enough space for a grill and outdoor kitchen area. You want to make sure that your deck is a space where function meets form. It’s important to imagine how you will move around and use your deck space. Online, you can find many tools that help you design your own deck, or you can seek professional help. When it comes to your new deck, it’s important to choose materials carefully. Depending on the climate you live in and whether you deal with extreme heat, snow, or lots of rain, your deck will need to consist of the right materials. A composite deck material could be one option if you have long winters, and redwood or cedar decks are ideal for hotter summers as they keep their cool. Also, one of the biggest enemies of outdoor furniture is weather, so you need to make sure everything is protected or there is a place to put it. If you already have a deck, but it’s not in the best shape, then there’s one surefire way to get it looking brand new: power washing. Decks are exposed to all of the elements, and they also will be subject to dirt and grime. Your deck wood, as well, will age and begin to look worn out. Power washing your deck can peel back all those layers of grunge. When power washing your deck be sure to use the lowest level of pressure that works and use an even, sweeping motion over the deck surface. After you power wash, you can sand your deck and apply a new finish that will leave your deck looking brand new. Designing your deck around the way you will use it and what climate you live in are imperative to making sure that your deck works for you and lasts for a long time to come, while a good power wash can make any deck come alive again. Here’s another outdoor home renovation article we think you’ll find informative! How Can I Make My Commercial Properties More Eco-Friendly? How Websites for Contractors Can Increase Sales! Make Your Home More Energy-Efficient with These Simple Remodels on How Can I Make My Commercial Properties More Eco-Friendly?